OLD PARKED CARS. 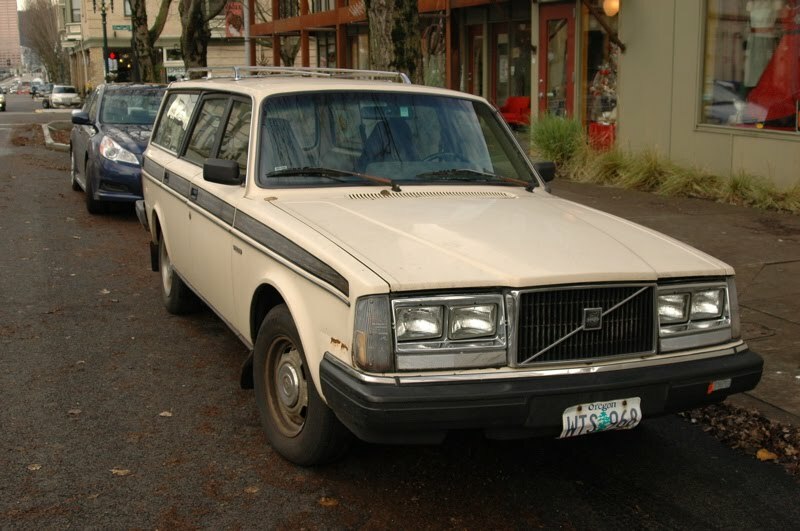 : Wood Grain Wagon: 1983 Volvo 245 DL. Wood Grain Wagon: 1983 Volvo 245 DL. Never thought I'd see the day! That must have been a dealer option, don't you think? 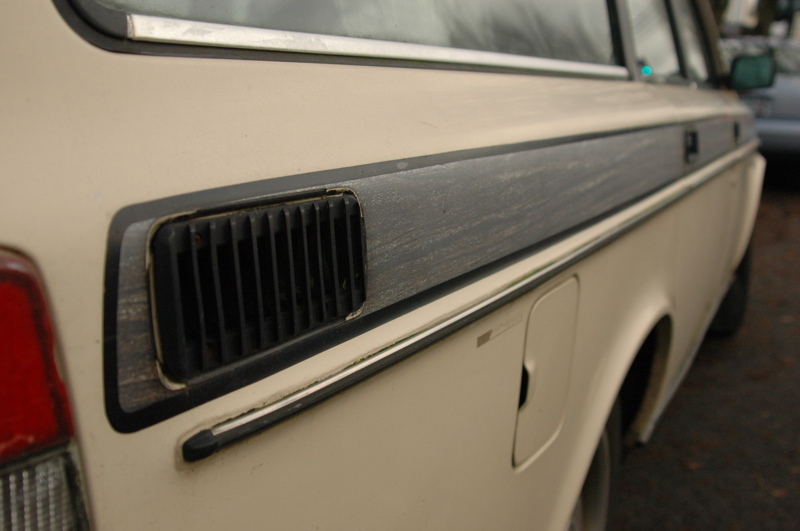 It reminds me of the wood grain fender trims on that first gen civic. Too lazy to find the link. I've never seen a 240 with a "woodgrain" treatment. This car clearly has stories to tell. 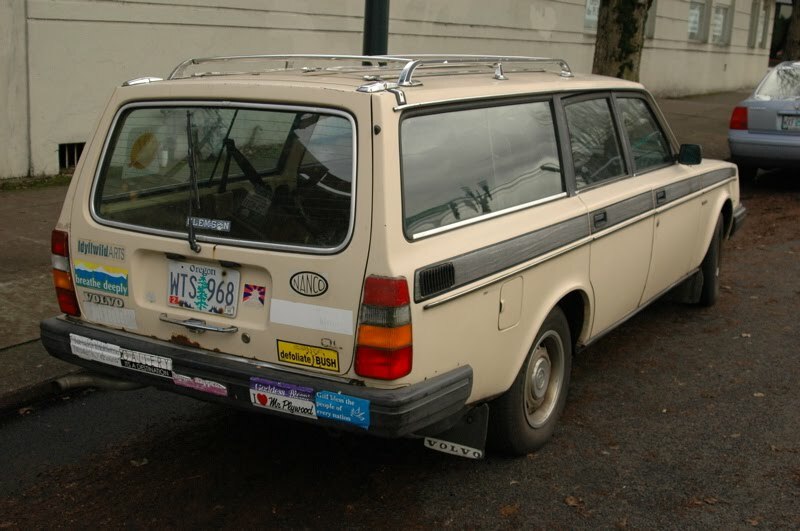 Nothin' wrong with a Volvo wagon. 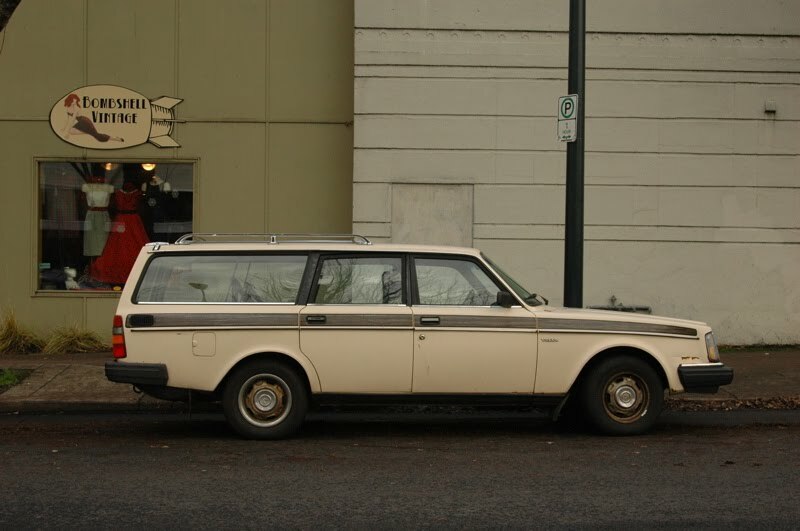 I love that the woodgrain sliver sets it apart from the volvo wagon crowd in the most tastefully subtle way. I agree. That wood-grain strip looks pretty sweet.